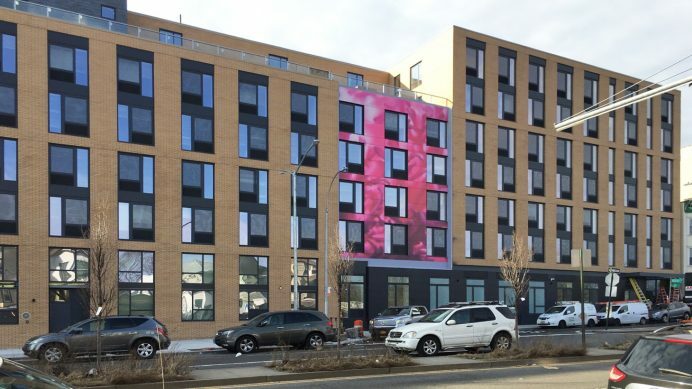 Parkside Terrace Senior Living in Bronx, NY featuring INTUS Arcade fixed steel reinforced polymer windows. “The project will be a mix of studio, 1, 2 and 3 bedroom apartments along with on-site program space, a landscaped roof terrace, and a rear yard children’s play area. As part of the NYS HCR Neighborhood Revitalization Cross Subsidy Pilot and LIHC Mixed Income Initiative, the project will serve households at 50%, 60% and 95% AMI. 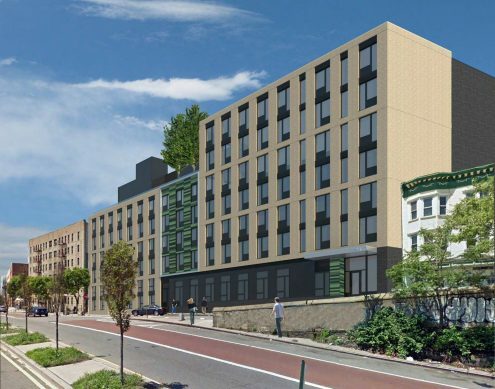 12 studio apartments will be set aside for adults with developmental disabilities who will be referred to the building through the New York State Office for People with Developmental Disabilities with on-site support services provided by AHRC New York City. The building features a 6th fl landscaped roof terrace, a rear yard garden and children’s play area, a community room, a laundry facility, and secure indoor bike storage.” – Dunn Development Corp.